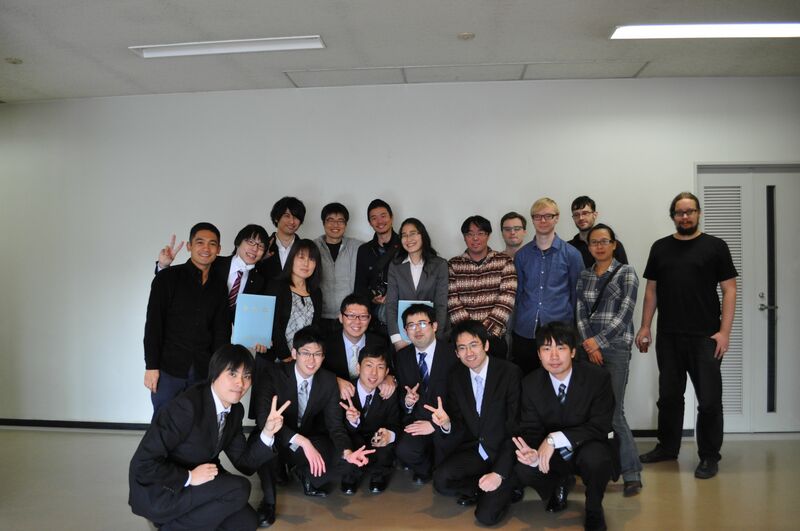 Congratulation on your graduation from NAIST! Today was good weather, it was very suitable for graduation ceremony.When I graduated my university, it was very bad weather, very cold and rainy. How I envy you ! By the way, did the present and message board have you please? M1 students secretly were making. I hope anyone didn’t notice preparing that !!! Anyway, 1 year was a very short time, but I was able to spend a very enjoyable and important time.Thank you for all your help !!! Some is staying nere here, some is going far away, but please come and see us anytime! Whenever you come, we’ll welcome ! I’m looking forward to see you again sometime! somewhere!! 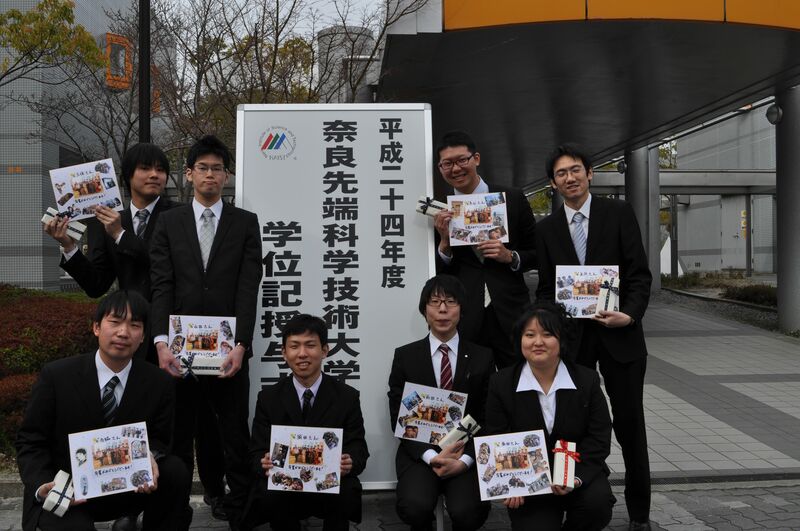 This entry was posted in 未分類 on March 22, 2013 by imd-lab.